Ken Moll was one of 56 members of the Castano Tobacco Litigation Group that sued the Tobacco Industry under novel legal and scientific theories. Prior to the filing of their lawsuits, the industry had never paid out anything in damages in 40 years of defending lawsuits. The Castano Litigation Group had a major impact in the tobacco litigation wars that led to a $206 billion Master Settlement Agreement (MSA) in November, 1998. The companies also agreed to curtail or cease certain tobacco marketing practices, especially those aimed at children, fund anti-smoking campaigns (e.g. The Truth) and disband industry trade groups. Within four years of the settlements, overall smoking rates fell by 13 percent for ages 18 to 20 and those over 65 and by five percent for ages 21 to 64. Vioxx, an arthritis pain medication manufactured by Merck, quickly became one of the most prescribed drugs in history. In 2004, Vioxx was taken off the market by Merck due to reports of dangerous side effects including heart attacks and strokes which led to serious injuries and death. Ken Moll's law firm filed the first worldwide class action lawsuit. As other law firms filed additional claims, approximately 58,000 in total, it was uncovered that Merck had known of the dangers as early as 2000 but did not remove the product until 2004. Finally, in 2007, Merck agreed to pay $4.85 billion to settle most of the claims. Fen-Phen was an anti-obesity treatment using two appetite suppressants (fenfluramine or dexfenfluramine and phentermine), which were later shown to cause potentially fatal primary pulmonary hypertension (PPH) and heart valve problems. Reports in a 1996 study revealed a link between Fen-Phen and negative side effects but the marketer and distributer of fenfluramine and dexfenfluramine, American Home Products (Wyeth), did not remove its products from the market until a year later. As victims surfaced, Ken Moll's law firm filed the first nationwide class action lawsuit against the drug makers for personal injuries and death. In 1999, after years of multidistrict litigation, the manufacturers agreed to a $4.8 billion settlement for all victims in the national class action. In the early 1990s, Ken Moll's law firm filed numerous lawsuits against the manufacturers of silicone gel breast implants claiming autoimmune disorders resulting from ruptured and leaking breast implants. Eventually, over 12,000 lawsuits were filed by multiple law firms. In September, 1993, defendants Dow Corning, Bristol-Myers Squibb, Baxter International, and Minnesota Mining & Manufacturing (3M) tentatively agreed to a consolidated $4.75 billion settlement. This settlement later collapsed, however, because of a high volume of claims submitted. In March of 1994, after Dow Corning filed for Chapter 11 bankruptcy, the remaining manufacturers agreed on a settlement. At $3.4 billion, it was the largest class action settlement to date. A separate settlement with Dow Corning was subsequently obtained. Baycol, an anti-cholesterol medication manufactured by Bayer, was introduced to consumers in 1998. It was withdrawn from the market in August 2001. Ken Moll's law firm filed the first worldwide class action lawsuit on August 14, 2001 alleging that Baycol caused rhabdomyolysis, a disease which can cause damage to muscle, kidney failure and death. Baycol was linked to over 100 deaths. On August 21, 2001, Ken Moll's law firm filed a motion to consolidate all cases filed in federal court which was granted. After years of multidistrict litigation, approximately 14,800 lawsuits were filed by multiple law firms and 3,144 cases settled for approximately $1.17 billion. On April 7, 2005, Pfizer pulled Bextra, an arthritis painkiller, from the market in the United States and the European Union after the Food and Drug Administration and European regulators asked for a recall due to the danger of heart attack, stroke, serious skin reactions and death. Ken Moll's law firm filed the first worldwide class action lawsuit on April 11, 2005. After years of litigation, in October, 2008, Pfizer agreed to an $894 million settlement of Bextra and Celebrex claims. On May 12, 2003, Ken Moll's law firm filed the first nationwide class action lawsuit against the manufacturers of ephedra alleging sudden cardiac complications, strokes and deaths associated with its use. Starting in September, 2003, the ephedra manufacturers stopped selling ephedra-containing products and filed for bankruptcy protection. In 2004, the U.S. Food and Drug Administration (FDA) banned the sale of ephedra-containing supplements.After several years of litigation and settlement negotiations, the manufacturers entered into settlement agreements for all cases filed by multiple law firms totaling $165.26 million -Metabolife ($90 million), Twinlab (19.71 million), Nutraquest ($34.3 million) and NVE (21.25 million). Millions of DPT doses are given each year as part of routine immunization for children to protect against diphtheria, whooping cough and tetanus. Unfortunately, DPT has been the cause of permanent brain damage and death in far too many children. In 1986, The National Vaccine Injury Compensation Program was authorized by Congress to compensate children crippled by inoculations or the families of those killed by them. In 1989, Ken Moll won the maximum verdicts for two families from California and Oregon that each lost a child as a result of DPT vaccine. In 1990, Ken Moll won over $4.5 million, a nation high verdict, for the family of a Pennsylvania boy suffering chronic seizures and needing around-the-clock care. Over 11,000 women filed lawsuits against Bayer, the manufacturer of the birth control drugs Yaz, Yasmin and Ocella, claiming serious injuries including blood clots, deep vein thrombosis, pulmonary embolism and stroke. In August 2011, plaintiff suffered a chronic cerebral venous sinus thrombosis which led to severe vision loss in both eyes. In May, 2016, Moll Law Group settled this claim against Bayer for $1.5 Million. Case: Medical Malpractice - Carl Menefee III v. William Klipfel, M.D. and Neighborhood Pediatrics, S.C.
17 year-old high school football star lost his right leg due to eight month delay in diagnosis by pediatrician. Life expectancy less than one year due to metastasis. Family continued to follow instructions of physician for eight months. What was a 1 cm lump grew to a grapefruit -sized tumor preventing limb salvage. In August, 2018, Moll Law Group was able to settle the case for the maximum policy limits six months after filing. On June 23, 2003, Ken Moll's law firm filed the first worldwide class action lawsuit against Endovascular Technologies, Inc., a Guidant company, for serious injuries and death of users of its defective Ancure Endograft Systems, devices used to treat abdominal aortic aneurisms. As a result of its lawsuit, confidential settlements were obtained. On August 28, 2000, following the world's largest tire recall in history, Ken Moll's law firm filed the first nationwide class action lawsuit against Ford Motor Company as a result of numerous injuries and deaths associated with tire tread separations and rollovers of Ford Explorers eqipped with Firestone tires. All cases filed in federal court around the nation were consolidated. As a result of the multidistrict litigation, numerous confidential settlements for personal injuries and death were obtained and additional tires were recalled. 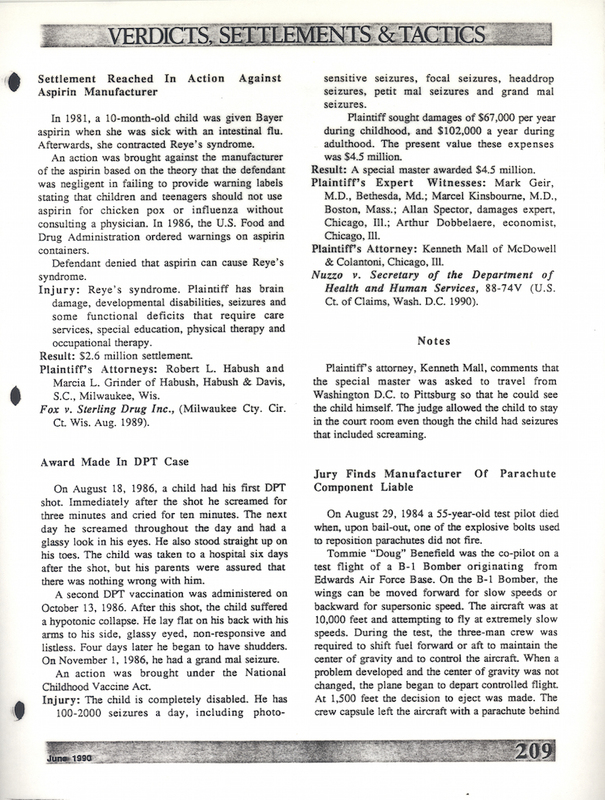 On August 28, 2000, following the world's largest tire recall in history, Ken Moll's law firm filed the first nationwide class action lawsuit against Bridgestone and Firestone as a result of numerous injuries and deaths associated with tire tread separations and rollovers of Ford Explorers equipped with Firestone tires. All cases filed in federal court around the nation were consolidated. 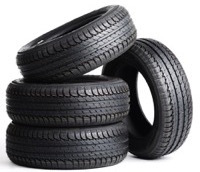 As a result of the litigation, numerous confidential settlements for personal injuries and death were obtained and additional tires were recalled. In December, 1998, Ken Moll's law firm filed a nationwide class action lawsuit and several wrongful death lawsuits against Sara Lee on behalf of consumers who suffered gastroenteritis, listeriosis and death from listeria-contaminated Ball Park Frank hot dogs and other contaminated meat products. 21 deaths were tied to the contamination which led to the biggest recall in U.S. history of millions of pounds of meat. As a result of the litigation a nationwide class action settlement was obtained as well as numerous confidential settlements for personal injuries and deaths. On September 17, 1996, Ken Moll's law firm filed a novel class action lawsuit against Desnick Eye Care Centers and its doctors located in numerous states around the country for performing unnecessary cataract extraction surgeries on its patients. On January 9, 2018, Moll Law Group settled a claim against an Illinois Hospital for failure to recognize, note and treat pressure ulcers from one of its patients which occurred for weeks following heart surgery.